The world’s best welfare state arguably is Finland. Yes, the burden of government spending is enormous and the tax system is stifling, but the nation gets extremely high scores for rule of law and human liberty. Moreover, it is one of the world’s most laissez-faire economies when looking at areas other than fiscal policy. 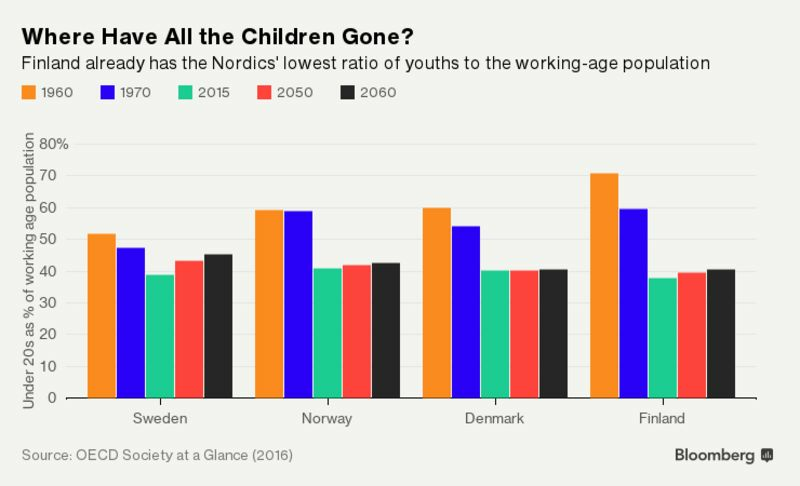 "…According to the OECD, Finland already has the lowest ratio of youths to the working-age population in the Nordics. 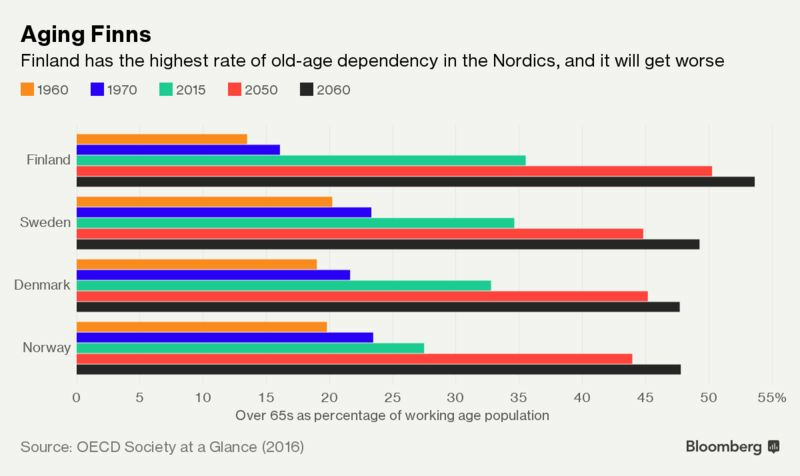 …And it also has the highest rate of old-age dependency in the region. …The situation is only likely to get worse, according to OECD projections." "Finland, a first-rate place in which to be a mother, has registered the lowest number of newborns in nearly 150 years. …the fertility rate should equal two per woman, Schauman says. It was projected at 1.57 in 2016, according to Statistics Finland. That’s a surprisingly low level, given the efforts made by the state to support parenthood. "…Finland’s famous baby-boxes. Introduced in 1937, containers full of baby clothes and care products are delivered to expectant mothers, with the cardboard boxes doubling up as a makeshift cot. …Offering generous parental leave…doesn’t seem to be working either. …The government has been working with employers and trade unions to boost gender equality by making parental leave more flexible and the benefits system simpler."